“Governing without data is like driving without a dashboard”. That was how Kofi Annan summed up the importance of higher education for Africa, at the first African Higher Education Summit in Dakar a couple of weeks ago. Governments need knowledge and information to govern effectively, he argued, and the places that produce that, in the form of research and skilled graduates, are universities. When the Africa Progress Panel wanted to investigate agriculture, and when the Ebola outbreak struck in West Africa, it was universities and research institutes outside the continent that people turned to for analysis and advice. The Summit was billed as the first continental summit on higher education in Africa. Under the banner of ‘revitalising higher education for Africa’s future’ it aimed to develop a shared vision, mobilize new investment, highlight what has worked well, and spur innovation. The guest list was impressive: the chair of the African Union Commission, the President of Senegal, an array of vice chancellors, a smattering of ministers, officials and ambassadors, and a number from donors and capacity building organisations – like INASP – which support the sector. Some 500 delegates in total. For anyone aware of the debates surrounding higher education on the continent there were some familiar discussions during the conference – the need for better financing, and the relative split between public and private sources, the need to balance wider access with improvements in quality, and the need to create a diverse system spanning research-intensive universities to specialized technical training institutes (or differentiation as it is known in the language of HE policy), and the need to ensure graduates are employable. This in the context of rapid growth – some familiar but still striking examples were quoted. Ethiopia’s Minister of Education noted that in 23 years the country had gone from just two to 97 universities and colleges. A conversation with the Vice Chancellor of the University of Juba, revealed real enthusiasm and energy – but also the daunting scale of the task ahead of them. There was also a resounding call for relevance –that for Africa to realize its potential, underpinning the sector had to be a commitment to ensure that what it researched, and the graduates it produced, were relevant to the needs of African societies and their development needs. In the words of Codesria’s Director, Ebrima Sall, this definition needs to move away from a narrow focus on serving a job market to a broader focus on development. 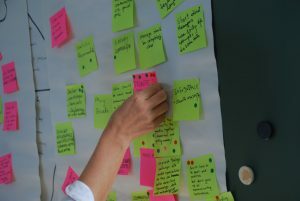 For INASP, Annan’s pithy comment about dashboards and governance is particularly interesting – our work supports access to research and the people that enable this, enables researchers to get their work published and more visible locally and internationally, and through our evidence-informed policy programme, makes the connections between research and those that need information for decision making in government and elsewhere. Higher education provides a critical pipeline – skilled researchers and skilled policymakers all depend on a functioning higher education system in some way. But there was something missing from the summit for me, and that was sufficient opportunity for discussions about the ‘how’. As Kofi Annan rightly noted out, what works in Accra won’t necessarily work in Nairobi or Dakar – there can be no prescriptions. But while the challenges are no doubt huge, there are many examples of initiatives which have worked and could work to strengthen HE on the continent. To take research and postgraduate education as an example, there is no shortage of initiatives. 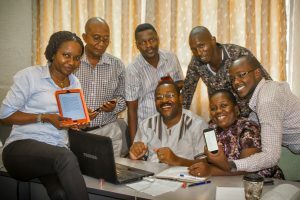 The University of Ghana has established a doctoral academy to reinvigorate its own PhD training, and to serve as something of a West African hub (something that Stellenbosch has already begun to do in South Africa). The African Union established the Pan African University as a continental network of training and research centres. The World Bank is funding a series of specialist centres across West Africa to develop academic capacity in critical fields and is preparing to develop a second phase in Eastern and Southern Africa. These build on regional initiatives such as the Partnership for African Social and Governance Research, the Regional Universities Forum for Capacity Building in Africa, the African Population Health Research Centre and many others. What are we learning from these approaches? What is working well, and how can we build on these? Incentives are critical of course. As one speaker commented, if you don’t pay academics on time, that’s a major obstacle to driving up quality. But as Nico Cloete noted, incentives aren’t just about money – the bigger issue is how the available money is used. There was a good discussion about the importance of a differentiated system. But the big question was how to make this happen – how many vice chancellors would decide not to try to become a highly ranked research university and instead opt for a mission oriented more towards high quality undergraduate teaching? These are policy questions – and may depend on governments who regulate HE systems to encourage or discourage institutions from following particular routes. As Prof Cliff Tagoe argued, a country first needs to define what it needs its HE system to do, and set this out so that institutions can respond. Undoubtedly there will be a political dimension to this. The Summit had some high profile figures – ministers and government figures – and the President of Senegal, Macky Sall, pledged himself as a continental champion for advancing this agenda and the African Union Commission’s chair, Dr Nkosazana Dlamini-Zuma, pledged her organisation’s support. But whether the bold calls made in Dakar translate into change will depend on individual governments to take up the challenge – and provide the right combination of funding and policy to enable their skilled university leaders to take this agenda forward. At the heart of Annan’s argument was that Africa’s potential won’t be realized unless we can develop the higher skills and knowledge that the continent needs. The big debates are important – that mark out the key issues we need to tackle, and can serve to mobilize energy and action around them. But we certainly won’t realize that potential if we don’t focus on the detail of ‘how’. John Kirkland – A pyramid without a roof? A good analysis of the deliberations of the summit. The African higher education environment is growing at a very fast pace showing that there is hunger for education but one issue that needs our focus as the summit observed is the relevance of research as well as the products of this higher education. Is it focused on solving African problems or are we just producing graduates whose main agenda is to join the job market? Hi Agatha, I think you’re exactly right. We hard a lot at the conference about how graduates aren’t leaving universities with the skills that employers or the country needs. How are things in Kenya and at the University of Nairobi? 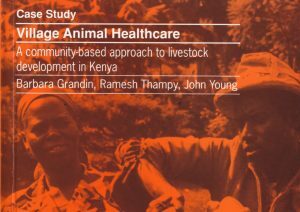 Are efforts being made to ensure that courses match Kenya’s development needs? Are employers satisfied with the skills that graduates bring? How do you tackle this at an institutional level? Interesting and thoughtful as always. 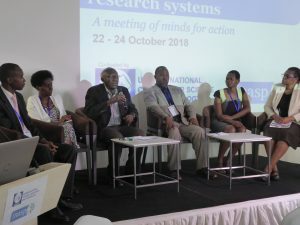 A shame to have missed it – the fact that I didn’t even know it was happening speaks volumes to the split between [UK] research funding, and HE, which is an interesting challenge in itself (especially given in many African HE institutions, the international donors are the biggest R&D funders). The ‘how’ discussions are very oft omitted, and even more the ‘actually how’ discussions… so whilst a shame, I’m not that surprised…. Are they being taken forward in other fora? I wonder if you could say more about what Ebrima meant here? It’s always really painful when Northern institutions stipulate that think tanks or researchers in Southern countries must work on ‘development issues’. Public policy, in a country like Senegal, is development policy. Similarly, training up people to create a vibrant business sector will drive development. There is, I think, a valuable question about whose job market the skills are suiting? Clearly, training up people to export them is one thing (and has worked well for some countries, especially when they come back) but should be balanced with people who meet the needs of domestic industries. And this comes back to incentives, and functioning systems – so links to being paid on time, not getting hit with a massive teaching load, and being stuck somewhere with dodgy internet and a gerontocratic leadership…..
Hi Ian, thanks for taking the time to read and comment – and for picking me up on the weak point too – easily missed and helps to tighten up thinking. Agree about the split – will be interesting to see how (from a UK perspective) this is managed within DFID given a substantial research funding portfolio, capacity building programmes, and emerging work in higher education (although building of course on longer running programmes such as the Commonwealth Scholarships, DelPHE etc). There are many more practical conversations taking place certainly. But it’s a shame, to me, that these bigger opportunities to get behind some concrete ideas instead become more about getting behind some looser rhetoric. But perhaps that’s just the way these things work and they play a useful legitimising function (eg the AU have endorsed it, a president has endorsed it etc). It’d be interesting to know how powerful these type of summits plus communiques are in setting broader agendas that then get picked up domestically, or can be used as leverage. I’m sure there’s a lot written about that in development, less sure in our particular corner of that world. So, relevance – I can’t pretend to speak for Ebrima Sall, only what occurred to me as he spoke and what I think he was getting at. I’m also trying to reconstruct from my tweet-notes, and others. I don’t think he was separating the job market from development in that sense, so this may be poor summarising on my part. I think what he was getting at is the notion that graduates just need to serve business or industry, or that the only function of a graduate is to enter a labour market, when in fact (likey any other member of society) they can and need to serve a lot of other things too. So I’d agree that jobs are a huge part of development (obviously that was the theme of the 2013 WDR too). So I think his question is probably better phrased as something like ‘what are the skills, expertise, values that our societies and economies need, and are our universities able to produce those?’ There was a latter session on universities and democratic governance, and governance was a theme others spoke to too (Annan, but see also Nick’s SciDev piece). Sall was also talking about the need to transform HE, and HE’s role in transformation when he spoke. But the discussion wasn’t about retaining academics and researchers in HE or think tanks – although that’s an important issue in its own right, and was covered elsewhere during the conference. Hope that clarifies a bit of loose writing and offers a few more morsels!